Troops from the National Guard of Russia are assimilating U.S. Delta Force and British SAS tactics employed in Afghanistan, Iraq and North Africa. The National Guard’s first snap combat readiness drills took place on March 13-17. Detachments of special forces were deployed in Chechnya for operational training involving buggy raids across hundreds of square miles. Such operations behind enemy lines (known as “Jackal raids” in Delta Force and SAS parlance) have only ever been used by Russian army units, never by internal troops. 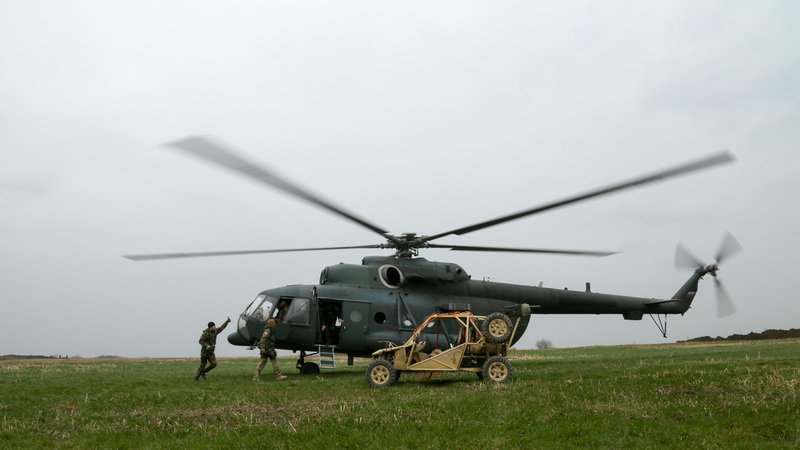 During the maneuvers, special forces (spetnaz) conducted a training raid on buggies, destroying a simulated enemy base. Arriving at the target, the spetsnaz team stormed the enemy “fortress.” The drivers and gunners remained behind in the vehicles, covering the troops with fire from 30-mm AGS-30 automatic grenade launchers. The National Guard of Russia (which includes the Special Rapid Response Team (SOBR), the OMON special police force, internal security troops and other units) was established just a year ago by a decree of President Vladimir Putin dated April 5. Its baptism of fire came just one month later when called in to deal with gangster warfare at Moscow’s Khovansky Cemetery. May last year saw a turf war between two criminal groups, involving about 500 gangsters. The National Guard suppressed the fighting and put a halt to the carnage in Moscow. The new structure is tasked with combating terrorist and criminal organizations in Russia, assisting the Ministry of Internal Affairs, providing border guard and army services, and protecting private and public property, among other things. The state plans to allocate over 211 billion rubles ($3.686 billion) to the new silovik structure this year alone. The new body is set to number around 340,000 personnel by early 2018, announced the head of the National Guard, Army General Viktor Zolotov. The monthly salary of a National Guard officer starts from 45,000 rubles ($787), with the national wage averaging 36,000 rubles ($630) per month.